“Chosen to Die” is an ARC sent to me by Lisa Jackson, but I’m so far behind in my reading that it should be in stores now. Pinewood County, Montana is in the midst of a killing spree by someone the Pinewood Sheriffs Department calls the “Star-Crossed Killer”. The victims are all women. The typical scenario is as follows: The victims car tires are shot out (by an obviously expert marks-person) and a crash ensues. The injured victim is rescued and nursed back to health (sometimes taking weeks). When the victim has recovered from their injuries, the Star-Crossed Killer takes them, naked, into the deep woods, lashes them to a tree, and leaves them there to freeze to death (it is the dead of winter). Taunting the local police, the Star-Crossed Killer leaves a note attached to the tree of each victim. As each victim is found the note becomes more clear. For example, Theresa Charleton was the first missing person and the first victim. The note on the tree read: T C . After 5 victims, the last being Hanna Estes, the note now reads: WAR THE SC IN Each victims initials forming the letters in the message. Detective Regan Pescoli of the Pinewood Sheriffs Department is driving to her ex’s to pick up her kids. A winter storm is raging and she is, likewise, raging….at her ex. As she reaches the summit of the last mountain, she hears a shot and loses control of her car. She crashes in the ravine and is badly injured. Before she loses consciousness she realizes that she has become the latest victim of the Star-Crossed Killer. After realizing that Regan is missing, Regan’s partner, Detective Selena Alvarez starts the search and tries to figure out the meaning of the notes (with the help of the FBI and others). She comes up with her version of two possible “final” notes: WAR OF THE SCORPION and BEWARE THE SCORPION. Regan Pescoli is an obvious choice for a victim. The race is on to find Regan before she heals and ends up tied to a tree. “Chosen to Die” introduces several characters and sub plots as it moves toward the very exciting climax. Nate Santana was born in Pinewood County but has just returned as a ranch had on Brady Long’s ranch. He is dating Regan Pescoli. Brady Long is a very wealthy part-time lifelong resident of Pinewood County. His father is close to death and when he dies Brady and his sister, Padgett, will inherit the family fortune. 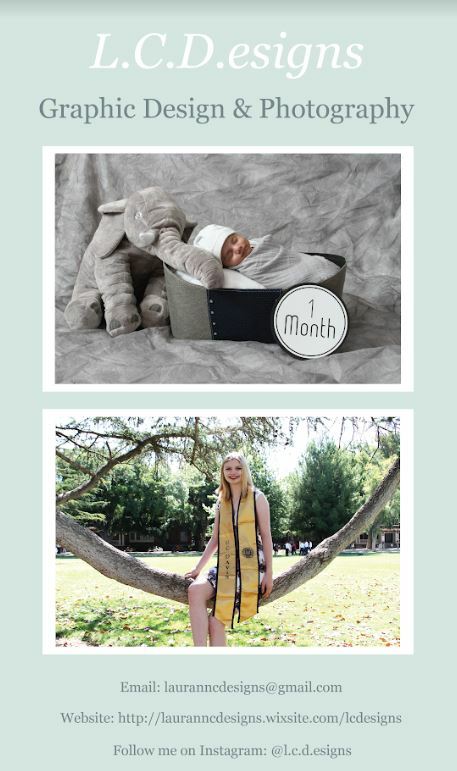 Luckily for Brady, Padgett has been in a mental institution since a boating accident many years ago, so she is no threat to Brady’s inheritance. He is a greedy guy. Several interesting characters with visions, or second sight, are introduced including town drunk Ivor Hicks who claimed to be following the orders of Crytor (the lead Alien who abducted Ivor years ago) when he found the latest victim of the Star-Crossed Killer. Ivor’s son, Billy Hicks, is always called to bring the drunken Ivor home. This is the second book I have read by Lisa Jackson. The first “Malice” was a crackling, can’t put down, thriller that I gave 5 WaterTowers. “Chosen to Die” does not live up to “Malice” and at times it can be confusing (with all the characters some of which are introduced but do virtually nothing following that & sub plots). The lack of a true hero also bothered me, but, maybe the book sets out to mirror real-life where clear cut heros are hard to find. 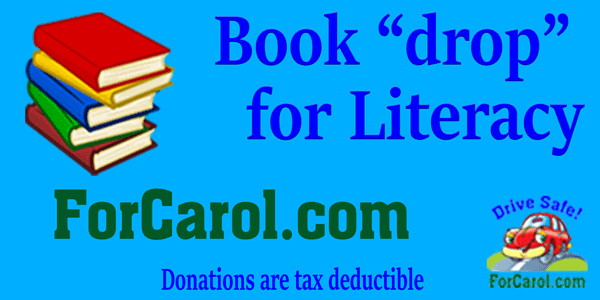 Perhaps reading the first book in this series would help: “Left to Die”. Ultimately, I enjoyed “Chosen to Die” especially the climax where….oh, you thought I was going to tell you? Not! 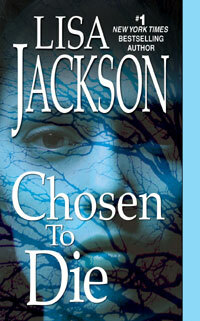 I will recommend “Chosen to Die” if only in paperback (which may be your only choice? ).